The planning laws that relate to outbuildings cover summer houses, sheds, greenhouses, garages and many other form of structures that are for a purpose incidental to the enjoyment of the dwellinghouse. Adding an outbuilding to your home can significantly increases your living space. it can provide you with the peace and quiet to tend to your hobby or serve as storage or any other ancillary use to your home. Placed at the back of your garden, a summer house can allow you to enjoy the beauty of your garden from a different perspective, especially if it combined with a complementary patio area. The possibilities and uses of outbuildings are endless. But whether you are building a new conservatory or rebuilding an existing one, it is important to be informed of the relevant planning permission and regulations before commencing work. New rules regarding whether or not you can extend or add to your home without having to apply for planning permission for an outbuilding came into force on 1 October 2008. The New limits and conditions for what is allowed without the need for planning permission apply largely to the dimensions of the proposed addition, its position in relation to the house and its proximity to the boundaries of the property. An outbuilding can not be constructed on land forward of a wall forming the principal elevation. Maximum height of 2.5 metres in the case of a building, enclosure or container within two metres of a boundary of the curtilage of the dwellinghouse.No verandas, balconies or raised platforms. The highest part of an outbuilding (including cresting and finials) should be no higher than the roof ridge line of the existing house. If the proposed outbuilding is within two meters of the property boundary, maximum eaves height should be no higher than 3 meters to be considered permitted development. Great care must be taken if you choose to incorporate cresting's and finials into your design., these are the decorative architectural devices often seen on the roof conservatories and some outbuildings. The finial is the pointed feature at the front of the apex and the cresting is the piece running along the ridge of the roof. There are specific designs that accompany different periods of architecture and it would be a real shame for an application to be rejected on the basis of a simple architectural faux pas on the roof. It would be significantly cheaper to submit a planning application for your outbuilding with plans specifically designed in accordance with current planning rules, rather than simply submit an architect’s plans that may be rejected forcing you to have them heavily revised, significantly adding to your costs. Planning and conservation officers generally find it easier to approve plans for a new or replacement outbuilding where the materials to be used in construction will compliment the appearance to the main building and those in its immediate surroundings. This means using similar bricks and stones for the walls of an outbuilding to match the main building materials of your home or using natural materials such as timber to create a harmonious design. Plastic and uPVC outbuildings will usually be frowned upon, as will outbuildings with plans for poly carbonate roof glazing. You may need to paint the exterior woodwork of an outbuilding to match the existing window frames and doors of your home, but if it is to constructed from oak or other hardwood, you may be allowed to leave it and let it weather with time and gradually blend in with the area. If you have been living in a conservation area for some time you are likely to be aware of the regulations that apply in your area and how they restrict home improvement projects. However if you are looking to purchase a new property or have have recently moved into the area, these restrictions may come as news to you. On the other hand, one of your motivations in purchasing your new home may well be the unique character of the property and surrounding area which the preservation and conservation status has provided. It is important to understand, conservation areas are not intended to lock an area in the past as a form of living museum. New development is often permitted but it will have to be undertaken sympathetically to conform to the existing environment. If you are planning to build an outbuilding in a conservation area or demolish an existing one that you plan to replace, it is absolutely necessary to obtain the required conservation area consent prior to beginning any works on your outbuilding. Going ahead without this may result in a fine or imprisonment, or both. At Drawing and Planning, our consultants have extensive knowledge and expertise in the various planning regulations and restrictions that relate to all forms of outbuildings. Our team of consultants are here to help you understand all the regulations and restrictions that apply to outbuildings. Should your proposals for an outbuilding need planning permission, we would be glad to assist you with all elements of your application. If you would require drawing only, our in house architects can provide you with detailed existing and proposed drawings for all types of outbuildings. Rules that govern outbuildings relate to garages, sheds, greenhouses, pools, kennels, and other types of enclosures that are going to be used for enjoyment or as a dwelling quarter. Do I need planning permission for outbuildings, is an intelligent question to ask before setting up one of these outdoor areas. Outbuildings are permitted developments that will not require planning permission. Planning permission for garden office areas is not required, as long as you are able to stick to the limitations of setting up one of these outbuildings. Building regulations for the outbuilding do not apply as long as the flooring area for the building does not exceed 15 sq. metres, and there are no sleeping accommodations added to it. 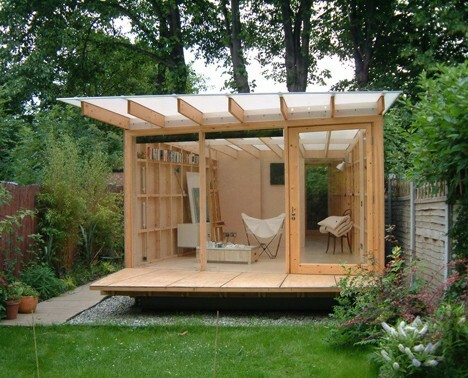 Even though you will not need to obtain planning permission for garden office areas, building regulations will apply if the building exceeds 15 sq. metres. Keep this in mind when setting up the office area on your residence. Also, if the office area is being set up on a listed piece of property, you may need to obtain planning permissions for the alteration. Do I need planning permission for outbuildings can be answered in two ways. As long as you stick to the building requirements you will not need to obtain permission. However, if you do not stick to the building requirements you may need to get in contact with the planning authority to ensure that the alterations you wish to make can be approved.